Rome is a city of Shows… from the ancient ritual battles of the Colosseum to the miracles of miracles at the Vatican. 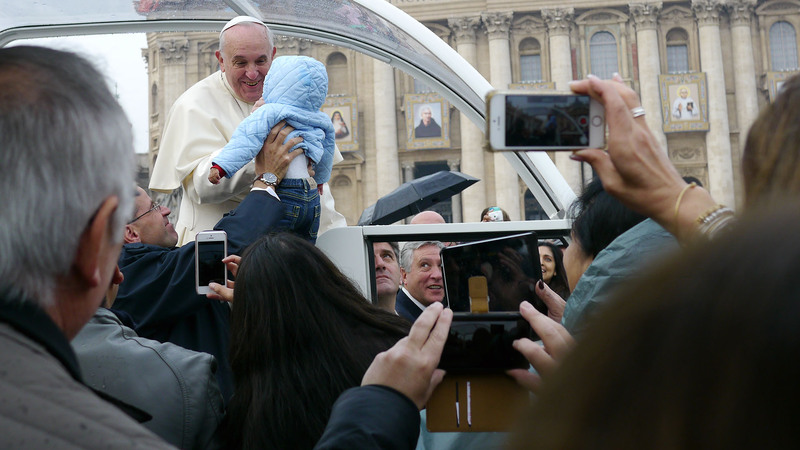 On a drizzly morning today, Pope Francis descends into the Piazza San Pietro riding the Popemobile to mingle with the people, kiss babies, and bless the flocks as the dark clouds open up and sun breaks through the grey skies. Ah, what a heavenly site as thousands roar their affection for la Papa. The Pope is the closest thing there is to a living God in the modern era, a robed deity whose moral authority spreads far and wide over some 1.2 billion Roman Catholics. And Pope Francis puts on a particularly good Show: there we were amidst the congregation in the Piazza as the Popemobile came blasting out of the Basilica San Pietro, careening up and down the aisles of cheering fans. 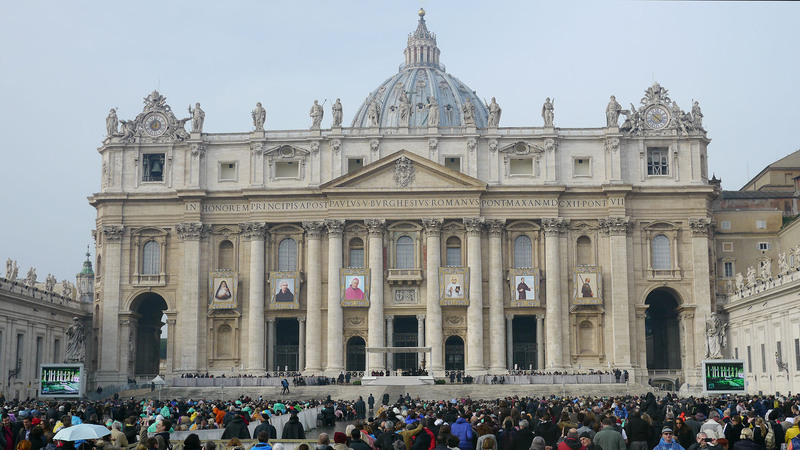 The Pope’s following arrive at the Vatican from all corners of the world: a holy pilgrimage in hopes that their baby will receive the papal kiss on the cheek. And yes, it is a sight to behold. In the age of mobile media, the Pope’s genteel expression and lofty words are transmitted virally across the globe via social media (and so too with this post). At no time in the history of religion, even in the recent TV era of tele-evangelism, was it possible for any holy figure to reach out to so many, so far, and so fast. At a time when religion and media have become inexorably bound together, when sermons are staged with the same attention to detail as a mega-Broadway Show, the great piazza San Pietro becomes, with its epic columns evoking the grand era of the Roman Empire, the most grandiose of all theatrical stages. If you should ever doubt the Miracle, just come to Rome for the Show of Shows and have your disbelief suspended in the grand style.